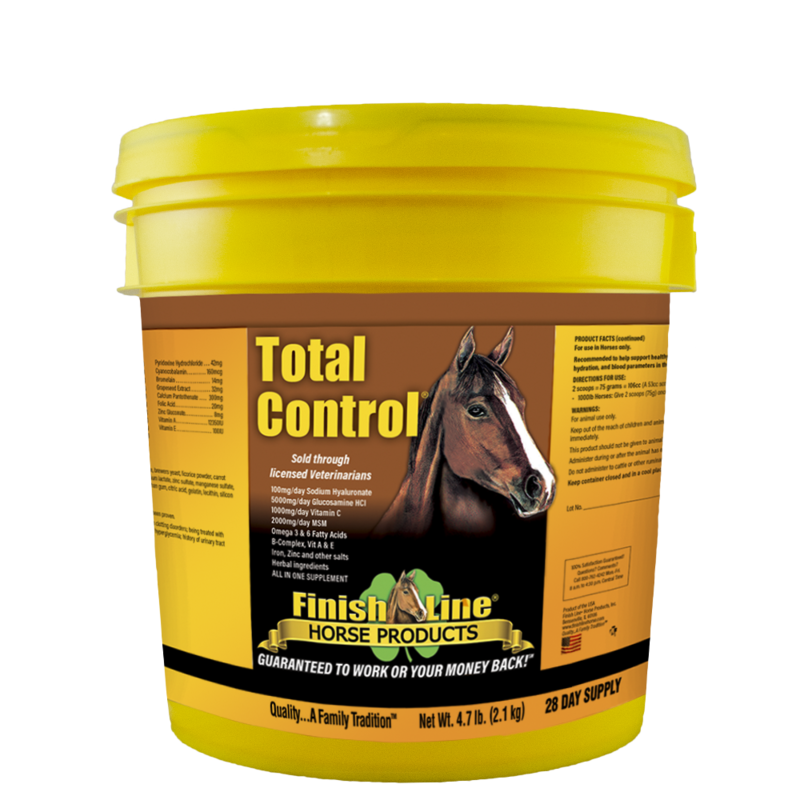 TOTAL CONTROL® is an all-in-one supplement designed with the performance horse in mind and is formulated to combine the active and quality ingredients of five Veterinarian Approved Finish Line® Horse Products: Apple-A-Day™, U-7™ Gastric Aid, Fluid Action® HA, Feet First® Coat 2nd, and Iron Power® – all into one palatable, daily supplement. With TOTAL CONTROL®, two scoops does it all! 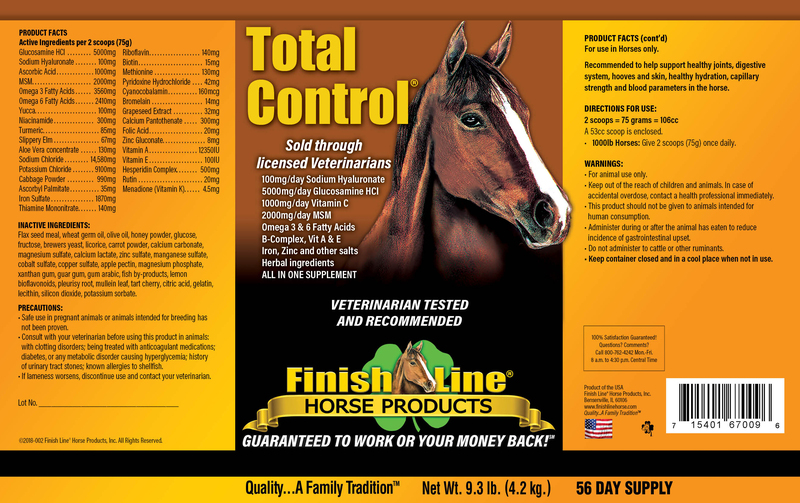 TOTAL CONTROL® was initially tested in 2006 by an outside veterinarian, whose main focus was in the care of Standardbred Racehorses. 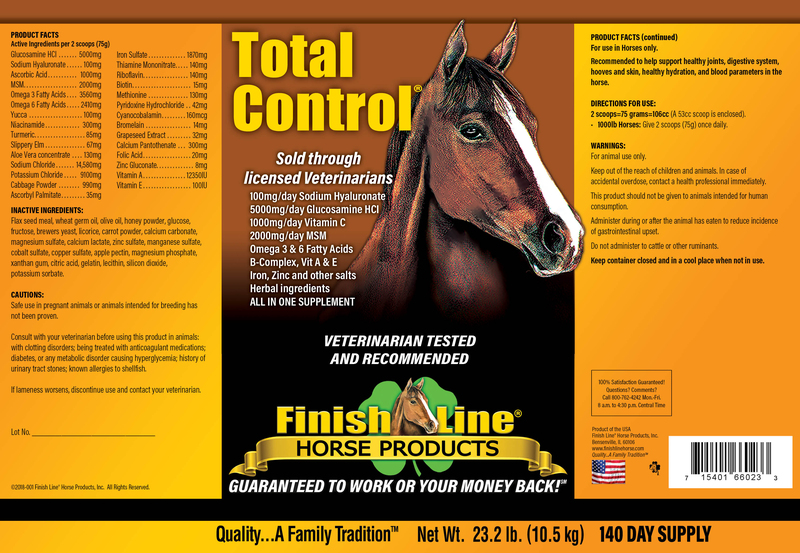 This same veterinarian was overwhelmed with the findings and quoted, “This is the supplement every performance horse should be on.” Secondary testing was done with over 50 Thoroughbred Trainers and Farriers with the same outstanding results. Zazu is a 6 yr old warmblood Gelding, that came to us from the South with summer sores, including this large one, and several other smaller ones covering his body. In addition, he had poor body condition, runny eyes, nasal discharge and had colic symptoms once a week for the first 6 weeks we owned him. 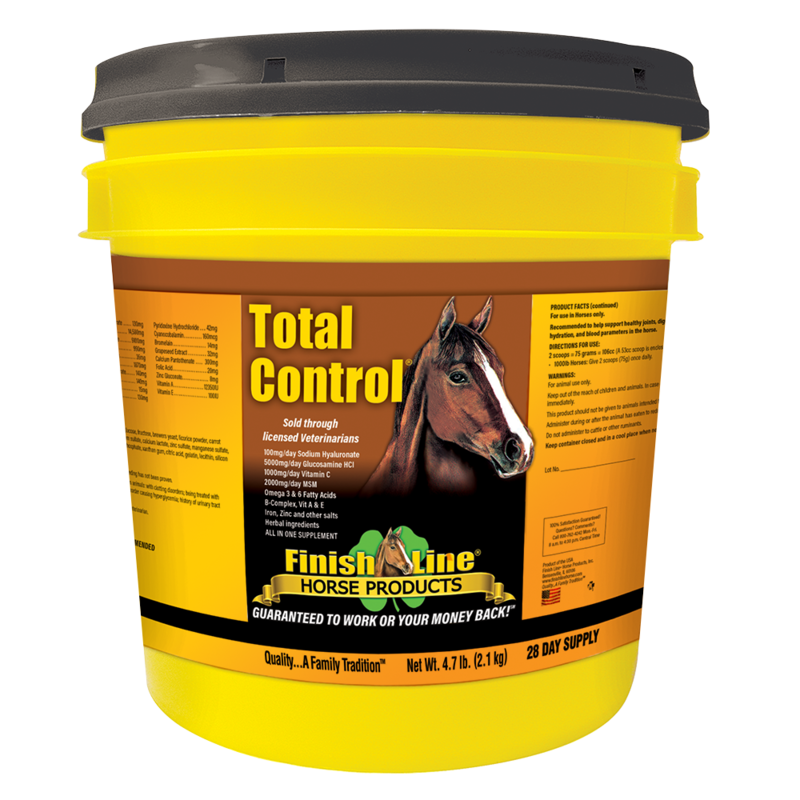 This horse was started on Finish Line Total Control® as he had so many issues I felt that this was a comprehensive product that would help his overall condition. The results speak for themselves. It makes taking care of multiple things with my horse a lot easier and the results are dependable. My two dressage horses have been on Total Control for four months now, so I think I can make a fair assessment of the product. First of all, my picky small tour gelding will eat it, which is wonderful. He is nearly 17, and now looks like a real performance horse again! His energy, coat, feet, and top line, have all improved. My grand prix mare is also thriving on Total Control. She is a stoic girl, so she doesn’t always let us know what’s going on, but she seems more supple and easy to manage, and her coat and feet look amazing. Thank you,Finish Line, for such great products!